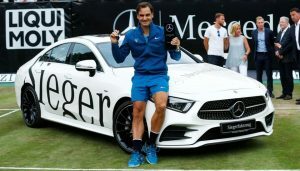 Roger Federer won the Stuttgart Open 2018 and reclaimed his top spot after replacing Rafael Nadal who recently won the French Open 2018. Meanwhile, Bulgaria’s Grigor Dimitrov replaced Croatia’s Marin Cilic to become the 5th ranked player in the Men’s Tennis rankings. 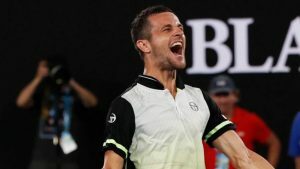 Mate Pavic remained at the top of the Men’s Double tennis rankings followed by Austria’s Oliver Marach and Poland’s Lukasz Kubot. Simona Halep reamained at the top of Women’s tennis ranking followed by Caroline and Garbine who are placed at 2nd and 3rd respectively. Russian players Ekaterina Makarova and Elena Vesnina top the women’s doubles tennis rankings followed by Taiwan’s Latisha and Hungary’s Timea. Previous articleBreaking World Cup 2018 – England Vs Tunisia: And The Winner is…?